Premier league fantasy football – redefined. And pubs. EMERSON World Cup organisers have admitted funny fantasy football team names will be harder to come by this summer than previous tournaments. Talking to assembled journalists outside league headquarters this morning, the chairman said despite Brazil’s rich culture and history Emerson boffins had failed to come up with anything as amusing or inappropriate as the 2012 Emmanuel Olisadebe Euros tournament two years ago. 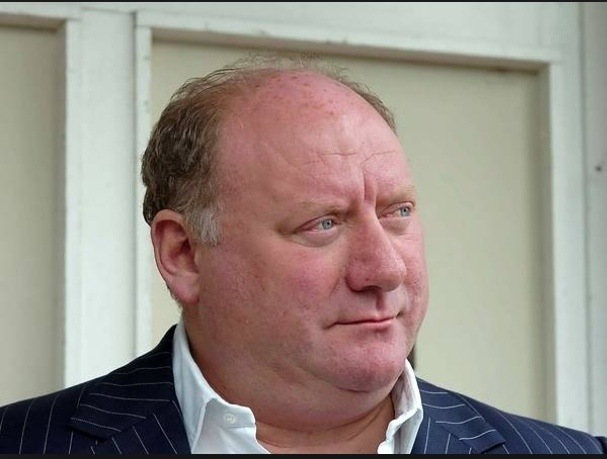 “We’ve had our top guys putting their heads together for the last three days and the best they’ve come up with is ‘Copa Lallana’, ‘Kappa-Wearers’ and ‘Just Like Watching Alan Brazil’. It’s a bit embarrassing really,” lamented the chairman. Other names to come out of the Emerson think tank include: ‘Christopher Samba School’, ‘Man or Manaus’, ‘Rio de Mistrugstessed’ and ‘Just Like Watching Savile’ – the last a reference to the childhood innocence of many Emerson managers in the 1980s. The admission has led to fears the Emerson will simply not be as irreverent as previous tournaments. The chairman this morning launched an appeal for anyone with a sense of humour to come forward with team names ahead of the auction, which is scheduled to take place in a London pub on Thursday 12 June, the evening of the opening game. DODGY hair and Brazilian flair in the most unlikely of places are what most people recalled when former Middlesbrough midfielder Emerson was announced last week as the figurehead of this summer’s fantasy World Cup contest, but what is really remembered of the 1990s powerhouse on Teesside? It was 1996. Heady days. Gina G was riding high in the charts, Tony Blair was seen as the potential saviour of the country rather than a warmongering poodle with a taste for Far Eastern women, and, at Middlesbrough’s Rockcliffe Park training complex, Bryan Robson was busy plotting how to build a side which could lose two cup finals and get relegated in a single season. Already the pieces were beginning to fall into place. In Chris Morris he had the heir to a successful Cornish pasty making dynasty, in Nick Barmby the world’s most unlikely gambling addict, and in Juninho he had signed, pound-for-pound, the best player in the league. But he needed something more. His Brazilian star playmaker’s problem of not being able to see over the ball and being blown off course by a gust of wind from the wings of a passing butterfly, meant he needed to strengthen his midfield. Swigging gently from his ninth can of Carling (admittedly it had been a slow day, he had yet to sign Paul Merson) Robson believed he had come up with a solution. Emerson – a man with all the flair, touch, passing ability, and shooting technique of his diminutive fellow Brazilian, but actually human size. Prizing him away from from his former England manager at Porto should have been an near impossible task if it wasn’t for Bobby Robson’s already advancing dementia, similarities in surname, and the corrupt nature of Iberian administrative staff. Soon everybody knew that there was a new force on Teesside (except for Bobby Robson, who only found out that Emerson had left two weeks later during a conversation with the kit man about how he’d parked his Seat Leon 10 days ago and had been unable to find it since). Emerson had the two ingredients necessary to be a foreign star in the Premiership in the 1990s – unlike domestic players he could control the ball in less than three touches and he absolutely despised the club and area where he was contracted to play. But having grown up on the beaches of Rio de Janeiro there was one thing that attracted him to Teesside – the resort town of Redcar. The similarities may not be obvious, where Rio has Christ the Redeemer, Redcar has one of the world’s largest blast furnaces. While crowds flock to the Brazilian city’s famous beaches, the biggest petrochemical complex in western Europe largely drives away the tourist trade from the Teesside town’s sands. Emerson, though, had a taste for slightly different delights. He was a creature of the night, and when it came to clubs and pubs Redcar could hold its own with any international rival. You want to see people dancing in cages? Head to Sharky’s. Triple vodka and coke for £1.80? That’ll be Leo’s. Want to try supping your pint whilst starring at the floor because if you look up you’re guaranteed to get punched? It’s The Hyrdo. But it wasn’t even one of the three corners of Redcar’s legendary ‘Triangle of Death’ that attracted Emerson. He preferred the unique ambiance of Klub Kudos, a sparkling gem of night spot that insisted on the best of everything except for music, hygiene, and effectively checking people’s date of birth at the door. Emerson loved Kudos so much he had his own special room there, and what went on inside is a matter between him and the members of Operation Yewtree. That no action was taken at the time is probably down to the long standing incompetence of Cleveland Police and the fact that if you score against Sunderland in back-to-back seasons people on Teesside will forgive most things. Juninho on the other hand settled for a few drinks at Guisborough Quoit Club (sadly, now a shadow of its former self) and went on to win the World Cup. A salutary lesson perhaps for any budding young footballers. 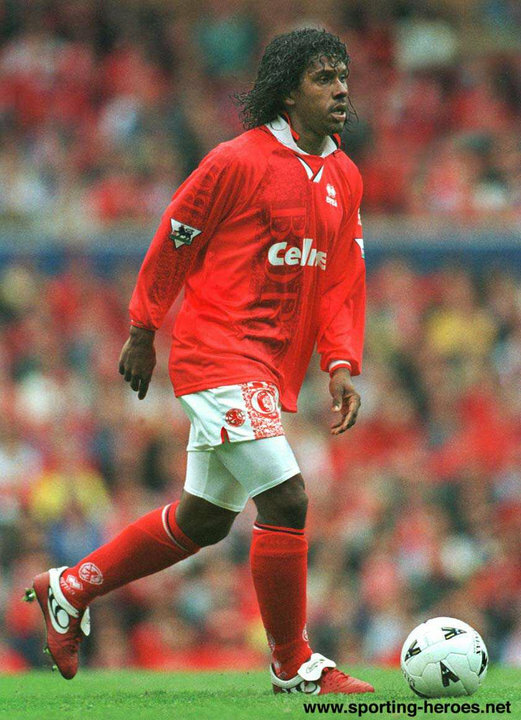 LONDON’S best pub-based fantasy football World Cup competition will be named after former Middlesbrough Brazilian flop Emerson, it was announced today. Best remembered in England for his two-season stint on Teeside in the 1990s, Emerson’s unfulfilled potential, meandering CV, failure to appear for his national side and dodgy haircut were key factors in the Kenna HQ committee’s decision to make him the contest’s figurehead. For the first time the traditional auction will be held on the opening day of the tournament, Thursday 12 June. The match between Brazil and Croatia will kick off halfway through an auction experts predict will last around five hours. “The 2014 Emerson World Cup auction will be a continuous, high intensity affair that will test managers’ skills to the very limit,” enthused the chairman. “Players will be auctioned thick and fast, and among distractions like the opening tournament game on a pub TV in the background and regular round-buying we can expect entrants to find themselves falling foul of the Titus Bramble forfeit ruling,” he said, with a nod to the Horn of Africa manager’s unprecedented resignation during the 2012 Emmanuel Olisadebe Euros auction. As with the 2010 Dr Khumalo World Cup in South Africa before it, the Emerson will limit managers to buying no more than one player of any nationality. Managers will also be required to set their teams out in a rigid 4-4-2 formation, a proven formula at international level. The Emerson winner will receive an estimated £150 cash prize, with the two runners up also getting their mitts on some dosh. In a move away from previous international tournaments, there will be no prize for the best individual player. Instead a radical new system will see the team with the worst disciplinary record winning the Emerson Unfair Play award. It is hoped the award will keep wider interest further into the competition. 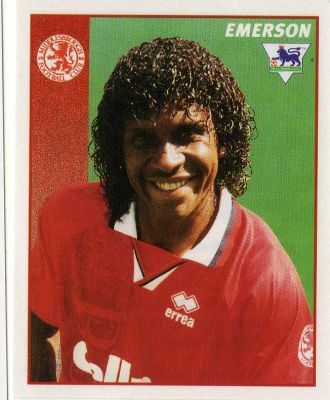 In unrelated news, the official partner of the 2014 Emerson World Cup has been confirmed as Soul Glo – a Jheri Curl product: Let Your Soul Shine Through. Who does he play for?